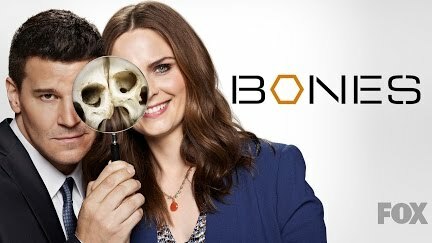 Fox has been ordered to pay $179m to profit participants on the longrunning TV show Bones; the judgment includes $128m in punitive damages because the aribitrator that heard the case found that Fox had concealed the show's true earnings and its execs had lied under oath to keep the profit participants from getting their share of the take. The arbitrator singled out Fox execs Dana Walden, Gary Newman and Peter Rice for "giving false testimony to conceal their wrongful acts." The suit turned on Fox's "self-dealing," whereby one division would make a program and sell it to another division at well below market rates, then claim that the show hadn't earned very much money, thus denying payouts to those with a share of the profits: the show's stars, the author of the novels the show was adapted from, and the show's exec producer. Fox has vowed to appeal. Two of the Fox execs singled out by the arbitrator are set to move into executive roles at Disney after the Disney acquisition of Fox is complete. Disney CEO Bob Iger gave a statement in their defense. Liguori headed Fox at the time the series debuted in 2005. In 2009, he wrote a memo that may have outlined Fox’s efforts to avoid self-dealing liability as Fox considered giving “Bones” a three-season renewal in 2009. Quotations from what is described as the “Legal Action Plan” memo are heavily redacted in the arbitration filing. Liguori left his post as chairman of Fox Broadcasting in 2009, amid a shakeup in the TV division.